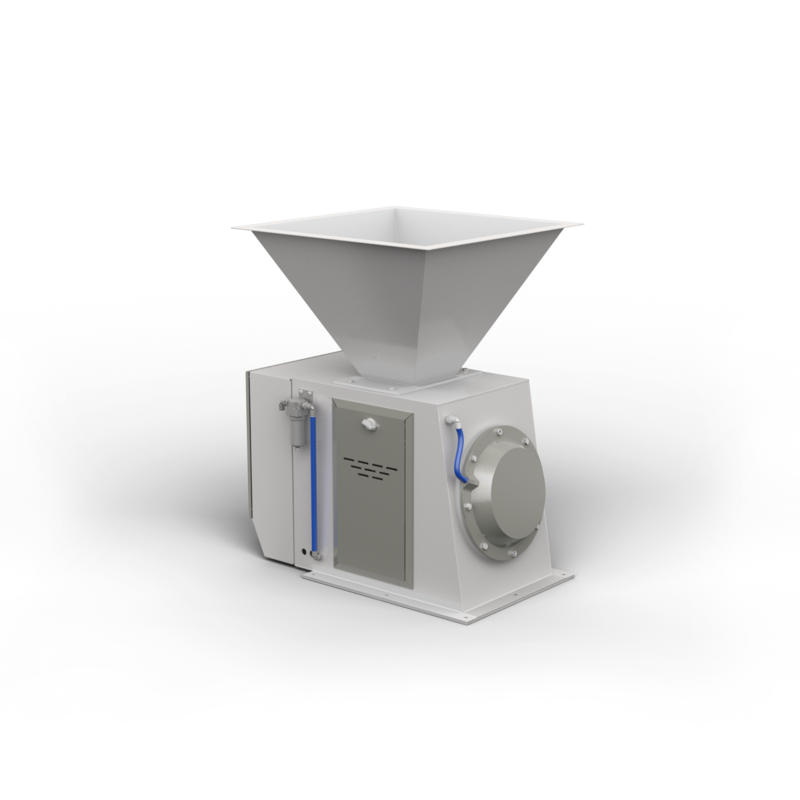 The flow balancer is used for precision weighing of the flowing weight of cereal products in general. The unit is installed by a load-cell connected to an inclined beating plate at suitable angle, and an impact sensor for appropriate product flow. 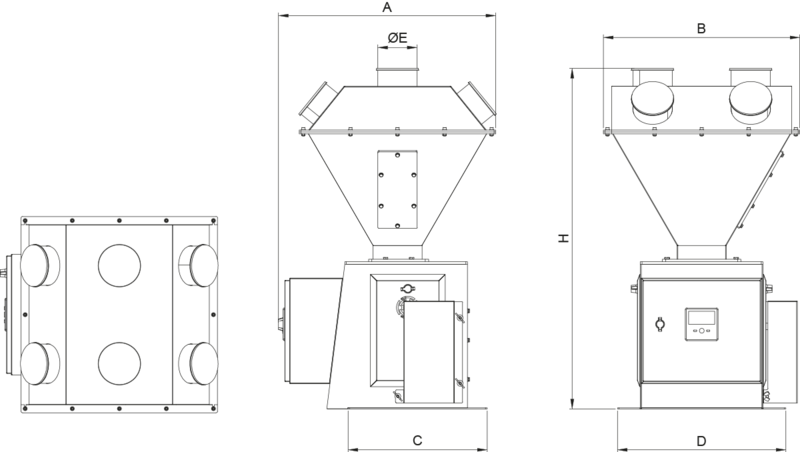 The weighing process is carried out by the PLC software programmed for a nozzle structure for optimal and precise communication and control settings between the pneumatic control valve and the load cell, and high precision and quick adjustment of high and low flows for the control of product flow. 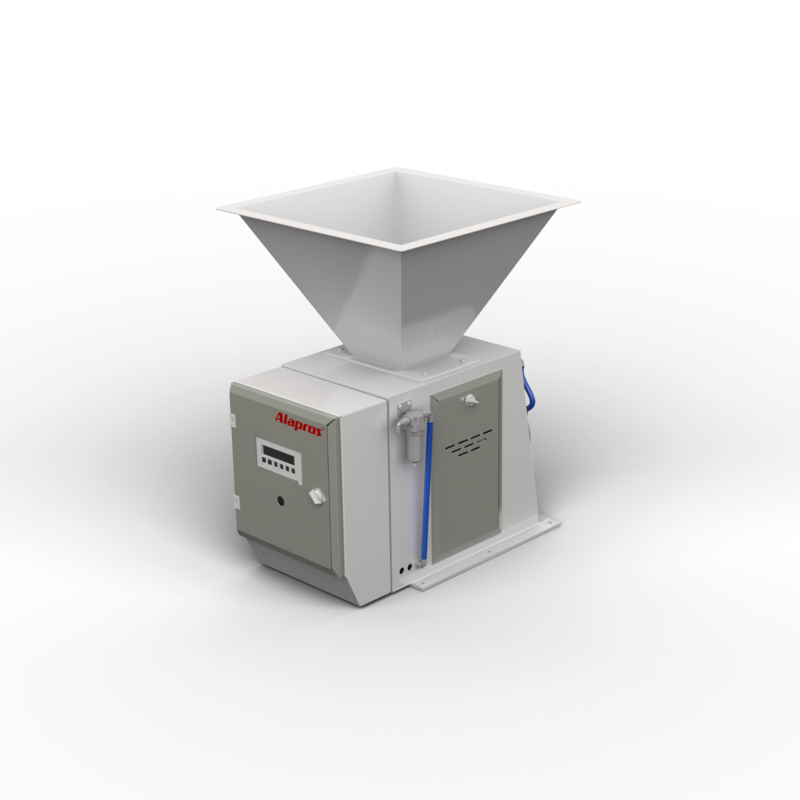 Where the dosing machine operates individually, each machine is controlled by a separate PLC or a certain number of collective groups are formed where data are processed centrally and managed by one PLC unit installed for each group.